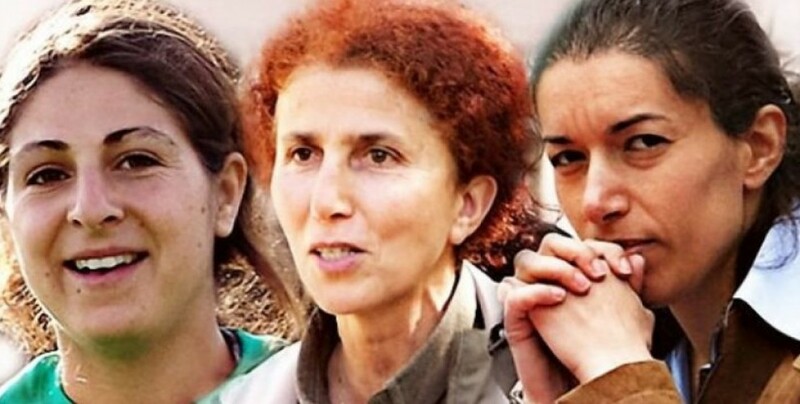 The cities of Roma, Bologna and Cosenza, in Italy, are organising events to remember the three Kurdish women political activists massacred in Paris. Sakine Cansız, Fidan Doğan and Leyla Şaylemez were killed in central Paris, in the Kurdistan Information Office, next to Gare du Nord train station, on 9 January 2013. In Rome an event is planned for 9 January, to remember the three Kurdish women and support HDP Hakkari deputy Leyla Güven who is on hunger strike for 61 days and her demand to end the isolation regime imposed on Kurdish People's Leader Abdullah Öcalan. Likewise, in Bologna, on 9 January an event will be organised to remember Sakine, Leyla and Fidan. The event in Cosenza will take place on 13 January. The documentary ‘Sara’ will be shown and administration executives will be at the act. Women in Italy and Europe have known of the Kurdish liberation movement and the Kurdish women struggle through the life of Sakine Cansız. The three-volume autobiography of the PKK founder have been translated into Italian giving activists the possibility to get a precious insight not only into the extraordinary life and character of Sakine ’Sara’, but also into the Kurdish liberation movement.